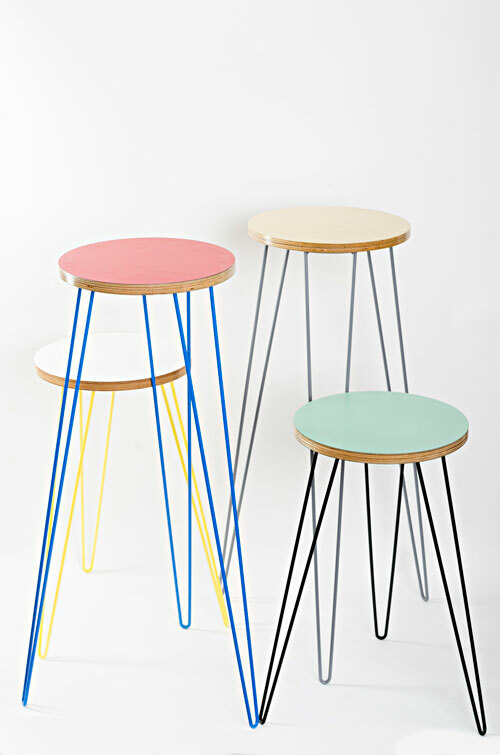 FK chats to Emer of stylish mid-century plant stand label, Wirely. We are so excited to have Wirely debut at our Melbourne SS14 markets! Tell us about your label Wirely and what the concept is behind it? 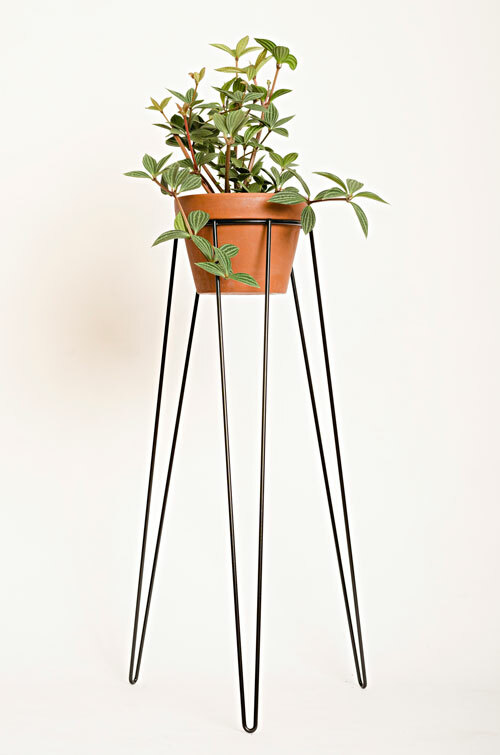 Wirely is making mid-century inspired metal plant-stands with a classic hairpin leg. 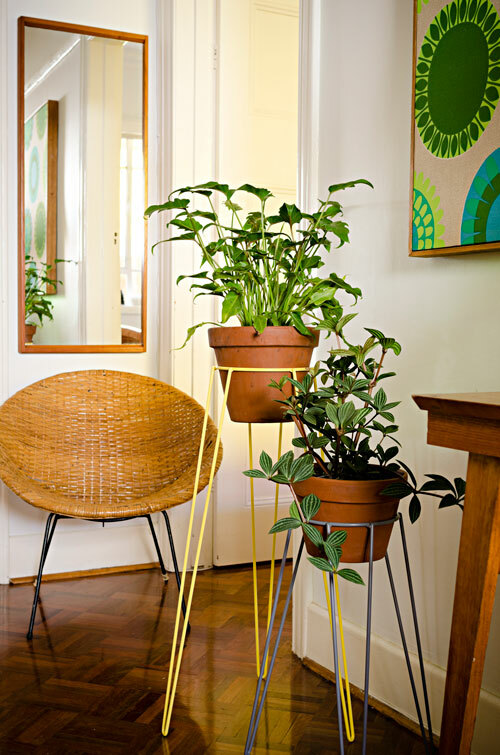 They come in two sizes that fit your standard-sized terracotta pots. 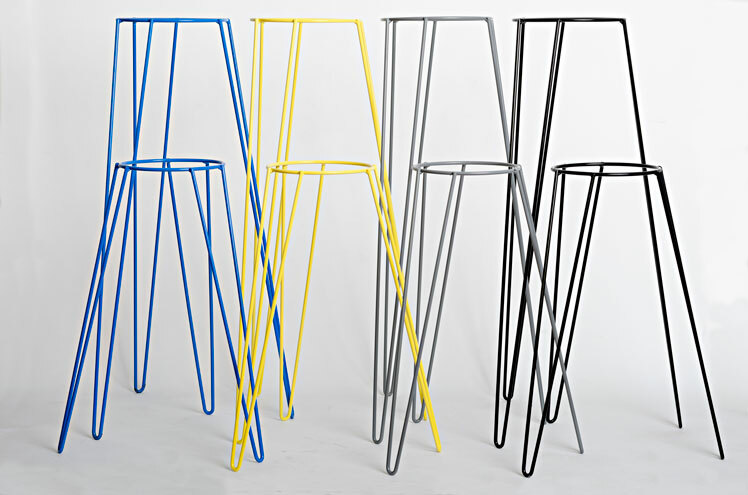 A modular top has also been designed that can be fitted to the top of the plant stand turning the frame into a side-table. They are also great for holding terrariums and ice buckets. To complement the stands we have a range of potted plants including succulents, ferns and herbs always ensuring we have a selection of plants that are easy to care for for those with a criminal history of plant slaughter. Anne grew up in a modernist home in Heidelberg in the 70s, surrounded by home wares from some of the mid-century greats, including: Featherston, Eames, Marimekko, Bitossi and Parker. 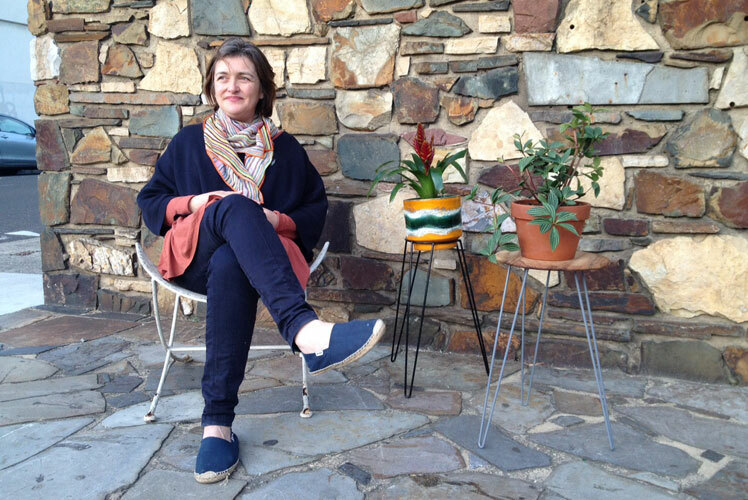 Inspired by both her mother’s and grandmother’s love of gardening, she studied horticulture, developing a keen interest in small space gardening. Some of her most cherished possessions are a Knoll butterfly chair and a simple hairpin leg plant stand that she inherited from her grandmother. This stand was the inspiration for Wirely. I, on the other hand, have a background in both fashion and the not-for-profit sector. In my previous work I had been a vocal advocate for ethical sourcing and fostering local artisan crafts, and maintaining small-scale manufacturing. To produce the Wirely stands we have collaborated with producers in and around our local neighbourhood. 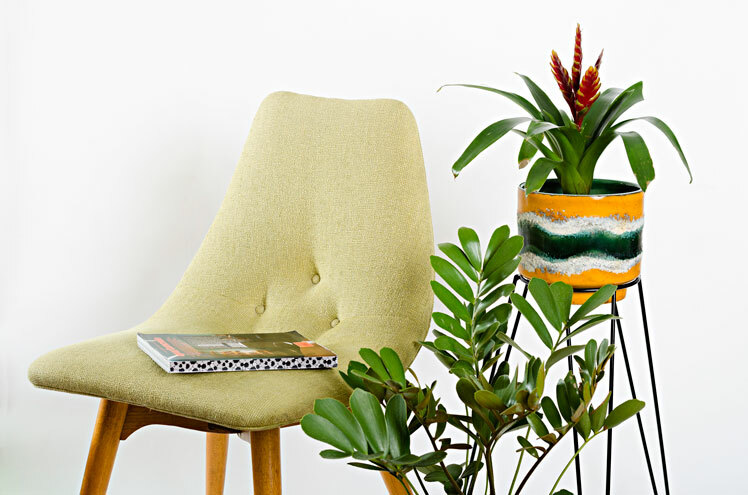 We both have a love for mid-century modern design so our inspiration comes from a combination of snooping in people’s gardens, dawn raids to trash and treasure markets and leafing through 60s and 70s garden design books. A drive around suburbs like Ivanhoe, Beaumauris and Elsternwick can also be very inspiring but sadly maintaining the heritage of mid-century homes is not always high on people’s agenda so there are increasingly fewer properties to be enjoyed. I laughed when I read this question. We only started Wirely in March so our workspace is our lounge rooms, kitchens, bedrooms and Anne’s inner city garden. Anywhere we can find space really. Presently there are frames stored in every nook and cranny of our houses. The next major milestone for our business is finding some storage solutions before our families have to move out of the house to make room for Wirely. Image featuring vintage West-German ceramic pot. What do you love about working with furniture? What are some of the challenges? We have both lived most of our adult lives in inner city apartments and terraces, so we are enjoying designing products that are multi-purpose and space saving. One of our biggest challenges has been our lack of space. Varnishing the tabletops has been a bit of a challenge during winter. We will hopefully resolve this soon. What can we expect to see from Wirely at the upcoming Melbourne Markets? With spring coming there are some amazing plants on offer and we will start to see some of our propagated plants come to life. We will also be including one or two new products to our range including some very cute table-top stands and we are exploring new finishes including copper. 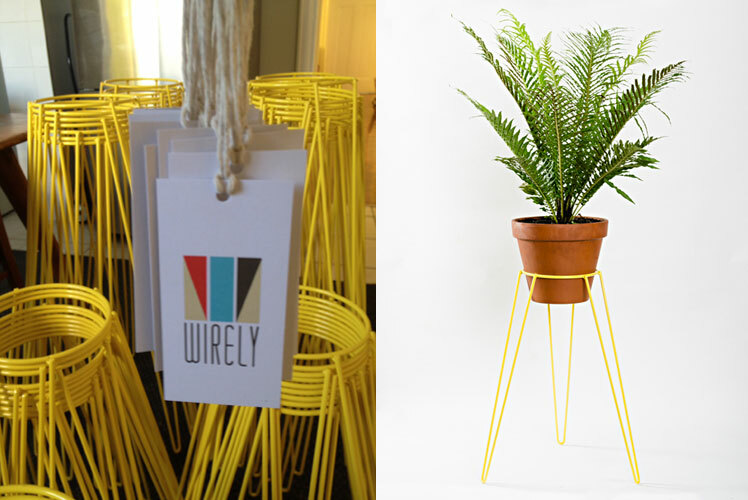 We are waiting for our first shipment of these cool Wirely plant stands for fine & sunny, I just LOVE them! !